Traditional in style, the hand blown Dartington Crystal Real Ale tankard has stood the test of time and still looks extremely stylish. 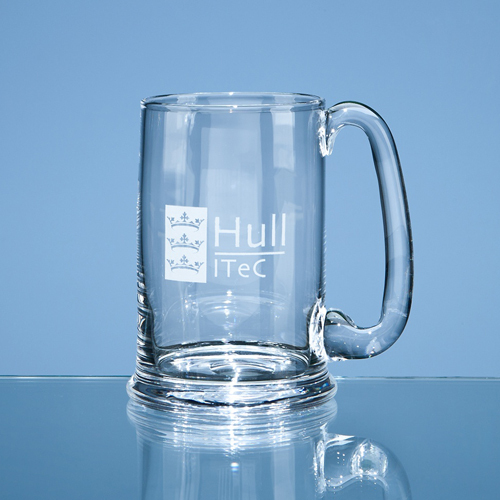 It has a large engraving area that can be personalised with any crest, logo or wording to create a gift that is sure to be well received. It is supplied in a Dartington Crystal gift box.